An example of an asset that the Trustee would be looking closely at would be a potential tax refund. But again, it depends mainly upon when you file your case. If you file your Missouri Chapter 7 in late May, then there is a really good chance that the Trustee will not want anything to do with any potential refund you may receive (because at that point in the year, there are still too many variables as to how much of a refund you might receive). But if you were to file your case mid-November, and you anticipate a large tax refund, then there is a good chance that the Trustee will demand that you turnover most of it. An experienced St. Louis bankruptcy attorney can use certain exemptions to keep some of the refund safe (and out of the hands of the Trustee). But if the refund is large enough, then it is likely that the Trustee will take most of it. In a St. Louis Chapter 13 bankruptcy (which is a repayment plan over the course of three (3) to five (5) years), it will be necessary to pay into your plan a certain portion of your tax refund each year that you are actually in the plan. And depending on how big of a refund you get, you could easily shave many months off you the length of your repayment period. 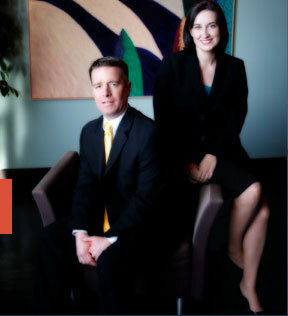 An expert St. Louis bankruptcy lawyer can make sure that you keep as much of this refund money as possible. At Brinkman & Alter, LLC, our goal is to ensure that you understand your full range of options, that each of your questions is answered, and that you are put on the road towards financial freedom. We have two locations: in the Central West End, at 1 North Taylor, St. Louis 63108; and in the Twin Cities of Festus / Crystal City, at 1000 Truman Blvd (Highway 61/67), Jefferson County, MO 63019. The initial consultation to discuss your legal related issues is free of charge. So contact us today to learn more! !